The Wisconsin Great Lakes Coalition (WGLC), that’s who! And who are we? Our members are private citizens who recognize the need for education and research to preserve and protect the Great Lakes and the quality of life it communities and visitors enjoy. For more information, read on. More and more organizations around the Lakes are becoming aware of the problems they face so meetings are being held throughout the basin to decide what to do. 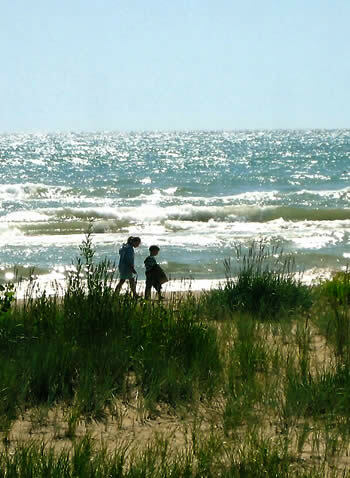 Our input is needed because we are the only group on the Lakes that is representing the public that uses the Lakes and the approximately 30,000 people who actually live on the Lake Michigan shoreline. We don’t want these other organizations, well-intentioned as they are, to speak for us. It’s not cheap – we travel to Canada, Washington DC, and other states; we meet with lawmakers, regulatory people, and other environmental and business groups; we publish newsletters and send out other mailings; we give presentations to any interested citizens’ groups. That’s why we need you. You’ve been very generous in the past and we appreciate it very much, but as you can see, our Lakes need our constant attention and to do that we depend on the help of our members. Anything you can send will be appreciated. Click on the ”About WGLC“ button to learn more about who we are. Click on the ”Newsletters“ button to view and print our current Newsletter which many of you have also received in the mail with your membership renewal form. Click on the ”E-mail Signup“ button to subscribe to receive a brief e-mail notice when a new Newsletter or Meeting Announcement has been posted on our website. For those of you who are members or becoming members, we’ll give you access to our archives of newsletters, which will give you an idea on what progress we’ve made, or not made (but we hope there aren’t too many of those!). Click on the ”Join WGLC“ button for more info. Starting now you can pay on line with your PayPal account. We’ll also accept checks, if you prefer that. We rely on voluntary contributions from our members – we do not accept money from government agencies or NGOs. Oh yes – we do not limit our membership to shoreline property owners only; anyone who loves the lakes and help bring them back from the edge of their environmental and economic cliff is welcome. Click on “Contact Us” to learn how to reach us or get more information.